I had the privilege of talking with Lisa Ho, who recently completed a run of performances as Connie in the Broadway revival of A Chorus Line. She was replacing a dancer who had been injured and has now recovered. Lisa caught my attention because in addition to a vibrant performance in A Chorus Line, I discovered that she has extensive experience in several forms of dance, including traditional Chinese dance. We met up at The Coffee Pot (350 W 49th St on 9th Avenue, New York, NY 10019, (212) 265-3566), which, coincidentally, has an exhibit of photos by a photographer I work with: Steve Hill. Robert Abrams: Why did you start dancing? Lisa Ho: Simply enough, my mother made me. I came out of the womb dancing. My mother was a dance teacher for traditional Chinese dance. I have two older sisters. We all had to do it. My mother was the first one who taught me dance. I expanded to ballet to strengthen my Chinese dance. My sister started a dance school, so I got to work with what ever teachers I wanted. I took everything: jazz, modern, hip hop, everything I could get my hands on. I was definitely forced into it. I put up a rebellion for a while, but I grew to love it. I am thankful that my mother made me stick with it. It worked out for the best. Robert Abrams: Who has inspired you as a dancer? Lisa Ho: My mother. When I choreograph and when I move there is still a lot of the traditional Chinese movement: circular and fluid. There is also a martial arts aspect to my movement. My sisters also taught me. Anabel taught me ballet, and my other sister Valerie taught me hip hop. There was such a vast dance background in my house. My sisters are very good at what they do and it was inspiring to grow up with them. 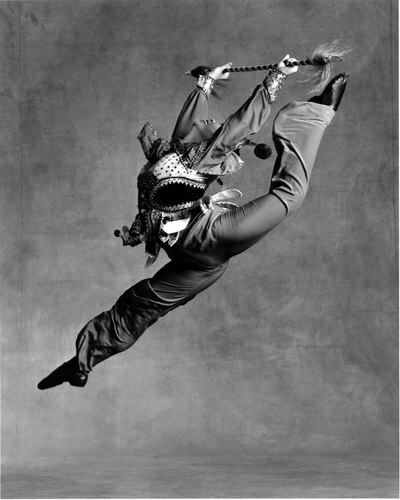 Choreographers: Alvin Ailey is my number one favorite and his company. They are so versatile and diverse. No two pieces are the same. You would never think to put two pieces that are so different on the same set of dancers. I always try to see them when I am here in New York. Robert Abrams: What aspects of A Chorus Line speak to you the most? Lisa Ho: It is a show about dancers. You will never go to a Broadway show and see the dancers featured that way. You will see the dancers featured, and you can go to dancicles like Movin' Out and Contact, but here the story revolves around the dancers. Normally dancers are the backdrop for another lead or actor. We are the forefront here. The stories are so real. The stories came from actual dancers. That is what is so appealing: it is so real. It takes place in the era of the 70s, but it is the same. You still run into the same characters: I recognize a Val and a Christine character in my life. I run into them at auditions. That is what I enjoy most about it, that you can pull from your own life and use that on stage. Robert Abrams: What are the essential differences between Chinese dance and the style of dance you perform in A Chorus Line? Lisa Ho: Completely different. Dance in the show is classic 70s jazz, especially the opening number. The finale number is classic Broadway chorus line dancing, which you don't see too much of anymore. Traditional Chinese dance - there are so many kinds: 56 minorities in China, in 23 provinces, and each area has its own style. Tibetan and Mongolian are examples of that. Classical Chinese dance has somewhat of ballet base to it. The movement is very particular and something you just have to see. Some of it has evolved from court dances of the dynasty era, but Chinese dance has many different roots. Robert Abrams: What are the similarities? 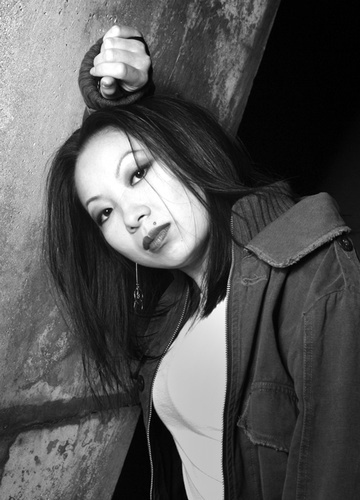 Lisa Ho: Simply in terms of dancing, flexibility is an asset in what ever dance form I have done, except maybe tap. Also similar are the transitions, being able to flow from one to another seamlessly. Style – Chinese dance has so many different styles, so knowing Chinese dance has helped me come into a show that has classic hyped up jazz to ballet to chorus line jazz. Chinese dance allowed me that chameleon ability to do many styles of dance. When you go to auditions you don't know what you are going to get, so you have to be able to do what ever is thrown at you. Robert Abrams: Are there any other styles of dance, either performance or social dance, that you are drawn to? Lisa Ho: If I had a choice of what type of dance to make my living with, it would be modern dance or contemporary jazz. It is possible but it is not where I am now. When I take class I take a modern class or a contemporary class. That is where a good portion of my heart lies. I do love all styles of dance, but that is one of my favorites. For upkeep of my body, I try to take a ballet class here and there, kind of like vitamins for my body. Ballet is my core. On the more social aspect, the hip hop comes out. It is so free, you don't have to think too much. Go with the music and ride the beat. Robert Abrams: How can we get more people interested in supporting dance? Lisa Ho: Exposure, simply enough. I have a lot of friends in different dance communities. They themselves, so many of them are so enamored by what other artists do and are inspired to see something or try something out of their element. I've seen hip hoppers take a modern class or jazz class and it's great. The more you can do the better. It's just about being open. In terms of viewers, Twyla Tharp has done a great job of putting modern dance in the mainstream by using popular music and placing a storyline in her shows. It makes it very accessible. People are scared of what they don't know. Modern dance can be intimidating. It is the same with hip hop: people think it is only for a younger generation. If you get people to watch hip hop, they are in awe. If you haven't seen a breaking circle, and you see it for first time, it is incredible. We need to help people to not be afraid of what they haven't seen yet. Robert Abrams: This is a question straight from A Chorus Line. What do you plan on doing when or if you stop dancing? Lisa Ho: I think about that when I am on stage every time. There are so many different ways it can go. I hope to choreograph, and stay involved that way. It is better to hold that one job, rather than trying to do both [being a choreographer and a dancer]. I would like to have my own dance company. I have a degree in kinesiology. I have thought about going into sports medicine or perhaps traditional Chinese medicine: healing for dancers. And of course, I will probably be teaching dancing to the day I die. As a woman it is quite different, especially if I wanted to have children. Some people can make it work, have kids and continue to dance, but it affects your body, not just aesthetically. You have another life to take care of. You have to fight for yourself as a dancer. If you have to provide for a child, everything changes. Having kids might be the day I stop dancing professionally. Robert Abrams: What other questions does A Chorus Line make you ask yourself? Lisa Ho: There is a scene between Zach and Cassie, they have a confrontation. He is telling her "You are too good to be in the chorus." "You're taking a step down, how can you step down? ", he says without saying it. He points to the chorus looking very plastic and identical and says, "Is this what you really want to do?". This show is lucky enough that everyone is featured in some way, but I have done shows where you do feel like somewhat of a robot: the dancers are there to fill a space, and add glitz to the show. I ask the question, why am I doing this? : they are just telling me what to do and I am getting a good paycheck, but no real fullfilment. Cassie responds, "Don't point me out because they are all special." The people that you meet that are standing next to you, they are so much more than what you see on stage. They are artists. Many have written their own music and can sing their head off, but you won't hear that in the show. I need to be selective about the shows I do, but I am not at a point in my life where I can be diva-ish, and refuse a role in the chorus. Every show will be a new experience and you can always learn from those situations. I try to justify it that way. You do sometimes question yourself, that way, am I just here to decorate the stage? Robert Abrams: If someone is seeing A Chorus Line for the second time, what should they be on the lookout for in order to deepen their experience? Lisa Ho: The first time I saw it, there were seventeen characters on the line, it was a lot to take in, a lot of stories to take in and connect with. To see it again, you get a better understanding of each character. It is easier the second time around, it is more familiar, you are going to take in more. You will get it that much more. Robert Abrams: What is one of your favorite charities and why? Lisa Ho: Disaster relief, of course, It is something that no one has control over and you never know when it will hit. The Red Cross does great work for helping people in need. Not quite on the same level, but supporting local dance companies, and even the major dance companies. Getting money for the arts has been so difficult and is getting more difficult. Relying on the private sector is important to getting dance seen these days. The arts are so fundamental to society that we need to keep it going as best we can. Each year I try to donate to my favorite company, and as well as friends of mine who are starting their own companies and trying to get their projects off the ground. I am all about seeing new work and supporting it in the best way I can. Robert Abrams: If you were asked to put together your perfect program for an evening of dance, what dances and dance companies would be on the program? Lisa Ho: Alvin Ailey Dance Theatre with Revelations, of course. Ballanchine, like Who Cares? is one of my favorites, ABT and NYCB do a wonderful job of recreating Ballanchine. Lastly, Netherlands Dance Theatre - I have only seen small clips of them, but what I have seen is beautiful and amazing: technique and new forms of movement combined into one performance. Robert Abrams: What would be one of your dream projects as a dancer or choreographer, other than A Chorus Line, of course? Lisa Ho: I would always love to run my own dance company. Or even just be a freelance choreographer for dance companies. In terms of my own projects, I have always wanted to make a show about auditions, not so much like A Chorus Line. Everyone has a crazy or unique audition story. The ones I have heard have been entertaining. I think it would make a great show. That is one of the things on the back of my mind. It is really about having the time to sit down and expand them and make them a project. We will see what comes of it. Lisa Ho: I love dance. I love to support it and watch it and create it and appreciate it in any way I can. I finished doing A Chorus Line two weeks ago. I am back to teaching mode and seeing what happens. A Chorus Line was a great opportunity and I loved doing it.